You are at:Home»Training»CSR Training»Gain skills, empower the team, and create impact! The course has been developed in an innovative way and unique format which allows participants to actively engage in strategic experimental learning; in addtion the format contains team exercise and group lunch. The residential course is delivered through a mixture of lectures, group discussions, review of case studies from the region. Also each session will have practical exercises, and coaching elements in supportive learning environment where participants build valuable connections and exchange ideas. About your trainer, Drs Daan Elffers: Founder of EMG Group, Elffers has extensive experience working directly with businesses, governments and non-profit organizations. 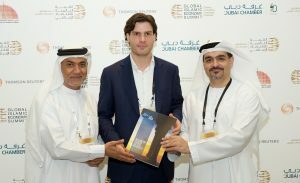 Named one of the ‘100 Most Talented Leaders in CSR’, Elffers was the Chairman and Key note speaker of the CSR Summits in Jeddah, Dubai the longest running CSR summit in the region. Elffers is a Guest Member of the Circular Economy Taskforce at the World Economic Forum. In 2015 Daan founded Multi-Award winning Islamic Reporting Initiative (IRI). The participants of this training will also receive their certificate to therefore verify their knowledge and successful completion. Participants can expect a challenging and thought-provoking program that will inspire and enable action within your organization, and will furthermore position you as an expert in the field of CSR and sustainability within your organization. If you are interested in one or more traininig sessions for your corporate teams, please contact us.